Buy and get a 20% Rebate. We Get Your Offers Accepted! We pay you to work with us and provide better service. We give you a 20% rebate from our buyer's agent commission to help pay your closing costs. VA Buyers who use Hawaii VA Loans are eligible for up to an additional 1% rebate from them. VA Buyers can use their total rebate to pay down debt from credit cards, car loans, etc. You can see the estimated rebate amount at the top of each property detail page. No waiting until after closing to get the rebate and no paperwork to fill out. Agents normally pay 20% to 50% of their commission to the company they work for. We give 20% back to you instead. Top Buyer's Team for the last 10 years. Our experience is critical to get your offer accepted, stay out of trouble, and handle issues. 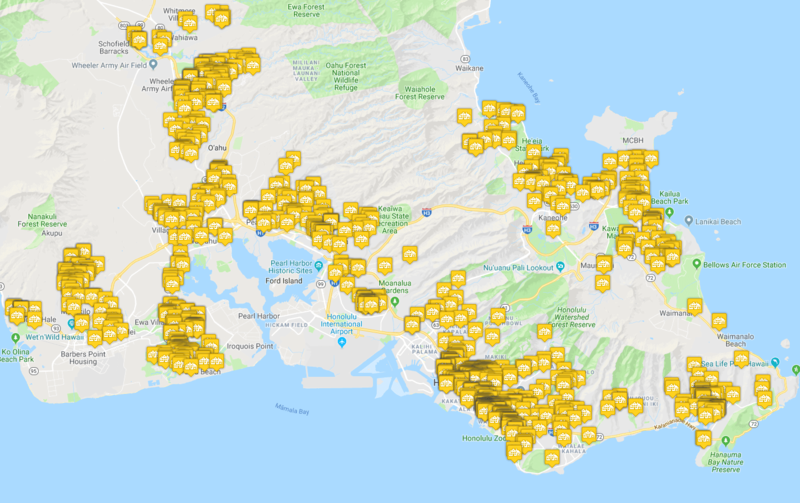 Currently #1 Listing Agent on Oahu. We understand sellers and know how to get your offers accepted. Our experience makes sure you do not overpay for a home and helps you secure a home when going up against multiple offers. This is the largest purchase in your life, working with less experienced agent is risky and can end up costing you a lot of money. A huge amount of raving reviews from buyers are posted further down this page. Makes sure everything is completed on time and keeps you up to date. Sends you the critical information you should know prior to important contingencies. Makes sure you never miss a critical deadline. We help make sure you don't pay too much, nor lose your dream home. An inexperienced agent can unintentionally set you up to over pay on your home by $10,000 to $20,000 or more. An experienced agent will help you negotiate the best price while still making sure you are able to get your offer accepted. Another area where experience is critical is in getting the home you desire. Every day many homes fall out of escrow and buyers lose their deposits, or offers to purchase are rejected and an agreement is never reached. There are hundreds of these situations with inexperienced agents and those buyers do not get the home they wanted. An experienced agent will maximize the likelihood of having your offer accepted and minimize the chance of falling out of escrow, thereby making sure you get your dream home. OahuRE.com carries all the listings, but sometimes you might overlook a listing. Perhaps it was just outside your price range or area, or perhaps the photos did not catch your attention. Many times, our experienced agents recommend a home that was not on a buyer's list, and that is the one they end up buying. Our experience can help you find your perfect home! Less experienced agents may not be able to give you that opportunity. If you are considering using someone else please use our agent sales tool to understand their experience. You can view our experience from this link, then open a new browser tab and compare it to anyone else you are considering using. Not sure how to get started or what steps are needed to buy a home? Our agents would be happy to meet with you at a local coffee shop to go over the steps required when buying a home. They can also answer all your questions and connect you to a recommended lender to get pre-approved.